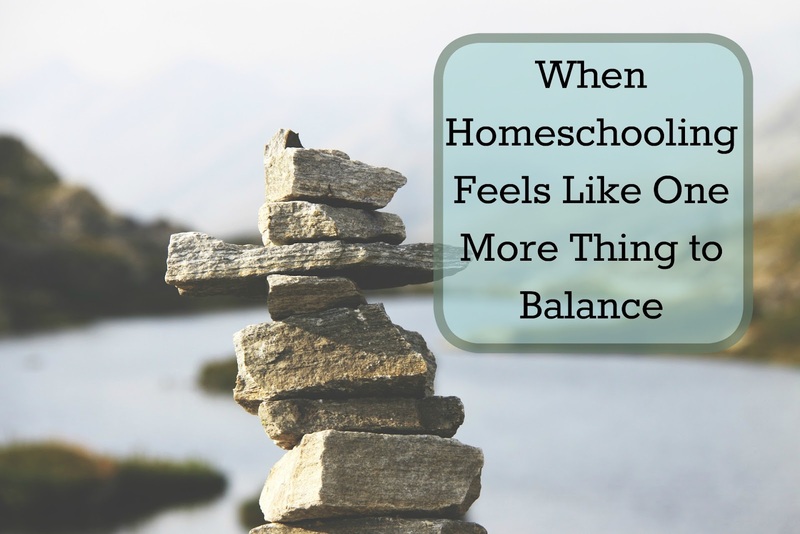 Homeschooling often feels like a balancing act. Well, OK, let's be honest; parenting often feels like a balancing act. We're all trying to juggle the kids needs with our own personal needs, the housework, possibly a job... it's not easy. Then we throw homeschooling into the mix and we have even more to juggle and balance. I had tons of laundry to wash, dry and fold. I had piles of dishes in the sink and, since my dishwasher has been acting up a lot lately, a dishwasher full of should be cleaned dishes that also needed to be washed. I had several more desserts that I wanted to make for Christmas. We had a few more last minute crafting things we wanted to try out for this year. The boys and I wanted to make some sort of Christmas gift for the librarians, who feel more like family at this point. We have two family Christmas parties tomorrow and I need to go through the gifts under the tree and start pulling out those that we need to bring with us. I wanted to make a casserole for dinner using last night's leftover chicken. I really wanted to scrapbook a few pages-- a goal of mine to just work on two pages a day that has only happened twice this week. Oh and school, we should probably do something for school-- right?! This constant push and pull of what needs to be done and what I want to do is always a balancing act and homeschooling/ schoolwork falls somewhere in the middle. Sometimes I want to do school with the boys and other days I feel like I should do schoolwork with them. We've been at this long enough now that I know the days I don't necessarily want to do school with the boys but just pull our work out and go through the motions don't always go so well. With everything circling through my mind and trying to figure out how and when to get everything done I decided, like any good mom, that I would ignore it all for as long as I could. I painted my nails, exercised, and sat in front of my computer much longer than I should. I started thinking take out was sounding pretty good for dinner and that our crafting items could wait 'til next Christmas. Perhaps we'd buy a floral bouquet for all the librarians to share. I'm trying real hard this year to prioritize and not get overwhelmed with Christmas and all the thing I feel I should do. I'm usually very excited for Christmas to come until the few days before Christmas and my enjoyment gets sucked up, thrown around, and lost. Like I told my husband last night if I could ignore all the usual household stuff around Christmastime and just focus on Christmas and my family it would be the most wonderful time of the year but when you add in the cooking, cleaning, and chores I normally do along with the Christmas stuff that's when it gets overwhelming. I do it to myself, I know. We're home and we have the whole month and each year I think I can do it all. Heck, some years we add in more! Looking back we've done so much this past month. We've had 19 days of Christmas. I shouldn't feel guilty throwing in the towel and saying I've done enough, but I do. Luckily, the boys don't always need me around hovering over them reminding them to keep busy. They just do that naturally and in watching them I can see the learning taking place on it's own. The boys spent the morning watching River Monsters episodes. I was surprised to find both Alec and Ian quite riveted by the program and Alec assured me it was very educational learning about all these species of fish and all the places he travels to. They learned we had free Animal Planet and went through the guide setting up some recordings to take advantage of the free shows while they could. I couldn't argue with any of their logic, but did ask if we could eat breakfast altogether and read a few more Christmas stories. Once everyone was settled at the table with something to eat we began to read. We've had some really great books to read this Christmas that have helped me keep sight of the real meaning of Christmas. Today's books were no different. 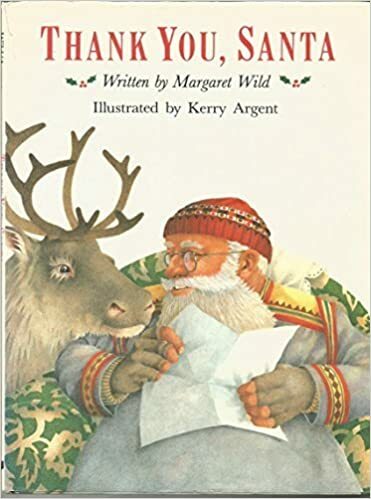 We read Thank You, Santa and The Christmas Miracle of Jonathan Toomey. They were fantastic. Thank You, Santa is a lighthearted book about a girl who becomes pen pals with Santa. The entire story is letters written between the two. It's very cute. 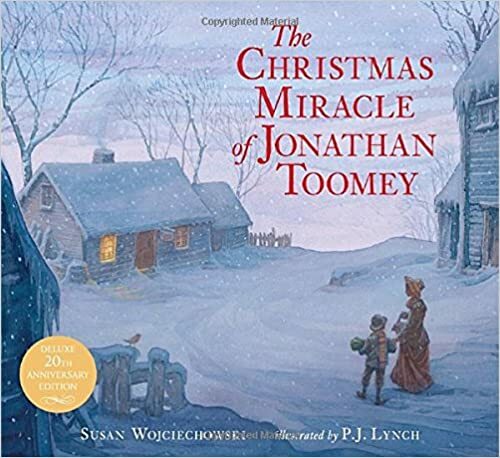 The Christmas Miracle of Jonathan Toomey is about a woodcarver back in the old west who is quite grumpy because he has lost his wife and family to illness. Slowly, through the holiday season he begins to forge an unlikely friendship with a young boy and his widowed mom. The boy and his mom have hired the woodcarver to make them a new nativity scene and through their persistence and friendship they help him to heal. I finally started pulling gifts out from under the tree and double checking my list. I finished up some last minute wrapping and the boys decided to wrap some of their crafts to give as gifts too. We were interrupted by Evan's first tooth falling out. He was so excited to show us all; though he did have to wash it off since he had spit it out in the sink when he was brushing his teeth. He marveled at how small it was and how little blood there was. He told me it hadn't hurt at all and he asked if he could call his dad and tell him all about it. Once we had his tooth cleaned, bagged up and under his pillow, we got back to wrapping. Alec showed Evan how to wrap gifts and I helped them spell any names they needed help with. Evan did a great job writing the names to everyone on his gifts; even writing small enough to fit it all on the tags. I love the addition of the Wolverine gloves when wrapping! All three boys did quite a bit of reading on their own today too. Ian read two chapters in Roscoe Riley, Alec finished book 2 of the Owls of Ga' Hoole series and is about 1/2 way through the third book already too. Evan read another Biscuit book to me called Biscuit's Day at The Farm. He did pretty good once we got started and I again marveled at how well he's doing with his reading. He's come so far in just a short amount of time. I'm so glad I didn't have to force reading him on him last year when he just wasn't ready or interested because he genuinely enjoys reading and listening to stories. Evan asked me to finish reading Mrs. Lane is a Pain to him. Alec has listened to most of this book with us and I know he was listening today too since he laughed in all the appropriate places. When I finished with that they asked if we could read bit more in our Harry Potter book too. I had to pack up my stuff so I asked Ian to help out and read the first page in chapter 2 out loud to us all. He agreed, even though he'd rather not read out loud and I appreciated his help. I took over as soon as I could and we read a few pages before it was time to go. We listened to the Blood of Olympus in the car on our way to gym and while running errands after gym. The boys had a great time at our gym class. They began by playing gaga ball, then they broke into two teams to play soccer and finally they played field hockey with a tennis ball. Evan soon tired of the team games and pouted for quite a bit of the class. He finally asked if I would play gaga with him and it ended up being the best gym class for him yet. All the boys had a great time exercising and playing and learning new sports and skills. The hour flew by! Once home Ian set to work making peanut butter cookies from scratch. Once again he read, followed the instructions, measured all the ingredients and made them himself! As soon as he was done with the cookies he settled down to watch some more Animal Planet. He watched Tanked and learned about fish, building fish tanks, supports, the weight of water, etc. Alec went to read and Evan decided to re-watch the Lego Movie. Everything sure ended up working out just fine today. I gave up my guilt, got done what I could and re-prioritized my day. The boys had a relaxed, self- guided learning day and we ended our week happy and healthy. There isn't much more that I could ask for... maybe just a second pair of hands! Sounds like you had a great day! I love those cookie making homeschool projects. Sometimes what they learn has nothing at all to do with fractions, measures, temperature, etc. Sometimes it has to do with making memories, and it sounds like you did that well. The other thing we do when we need learning days that are not hard schoolwork days is play educational games. We like Learning Games for Kids (www.learninggamesforkids.com). We like the keyboarding games best! Have a Merry Christmas! Yes! Games are great!! Looking back on days like this I'm reminded that instead of stressing over it all sometimes I just have to let the day unfold and who me what we're going to get done. What a perfect "school" day! There is so much that they can learn in just the natural! There is a planner that works like that. It is pretty awesome and shows you just how much they learn just being normal kids in a normal day. A perfect reminder to us all! I would love to have you link up at my Live Life Well link up. This would be so encouraging for my readers!! Thank you! I'd love to link up with you. It sounds like your day turned out pretty well. :) I love how your kids just did what they've been shown to do over and over by you. They read lots, they made cookies, they enjoyed gym. It's so encouraging that when we consistently train our children, eventually they'll do the right things even when we feel a mess ourselves. (which can be often for me. lol!) I completely agree with feeling overwhelmed with the balancing act of trying to do it all and then homeschool on top of that. And Planning Homeschool activities and days on top of the actual schooling! I love how you simplified and just did the next important thing. Thank you for your encouragement and for linking up at Live Life Well! Thank you! It did turn out pretty well and I am always so proud of my boys when they show me they know how to learn and help out in meaningful ways. Thanks so much for linking up! I have really enjoyed your posts! :) Hope to see you tomorrow as well! Absolutely! I'm so glad you have enjoyed them. That's one thing I have learned in our 6 years of homeschooling too. Simple, fun and focus on just one task at a time! Eventually all the important stuff gets done.